On one of my infrequent trips to town recently I discovered a queen sized quilt cover in a second hand shop (for the queenly price of $5). 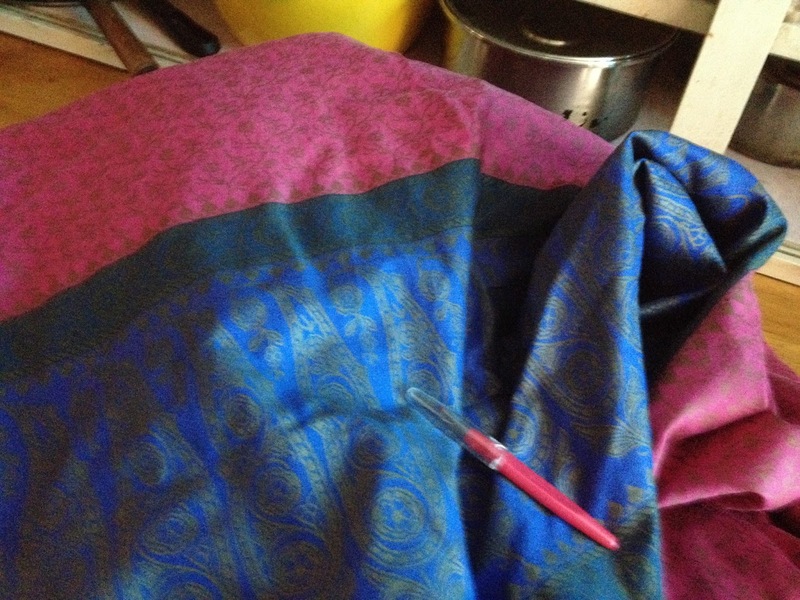 It was made from good quality cotton, in lovely colours, so I bought it for my sewing projects. 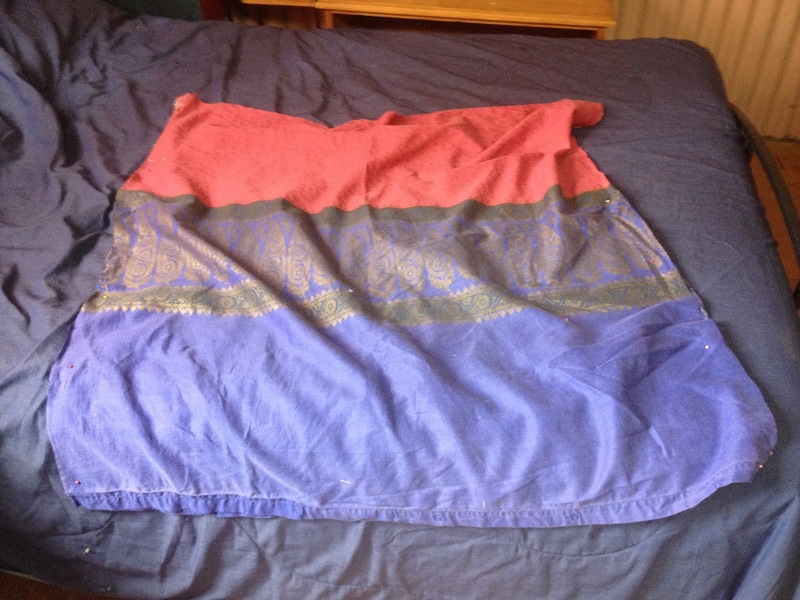 I did consider using it on the bed as I do need new bed spreads, but in the end I couldn’t resist the colours. 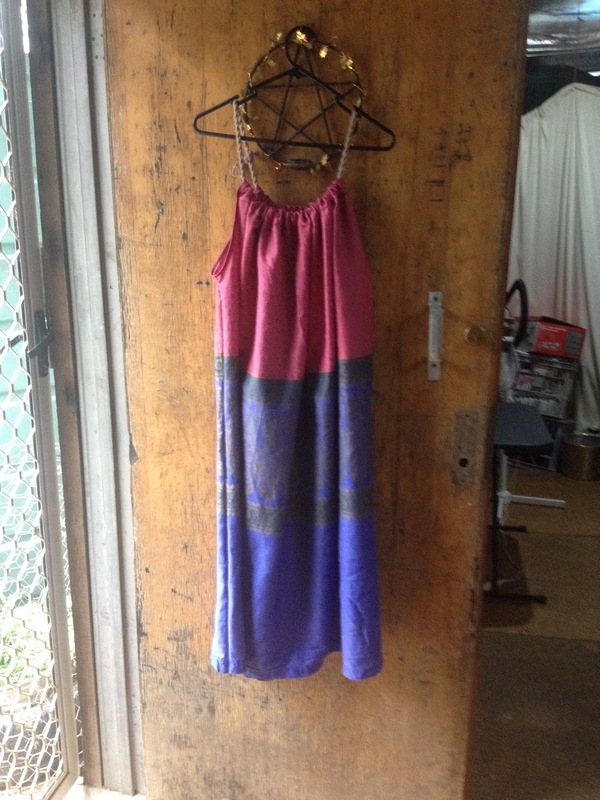 I decided to make a simple summer house dress, and by house dress I mean a dress to wear at home, in the paddocks, in the bush and occasionally in the house. 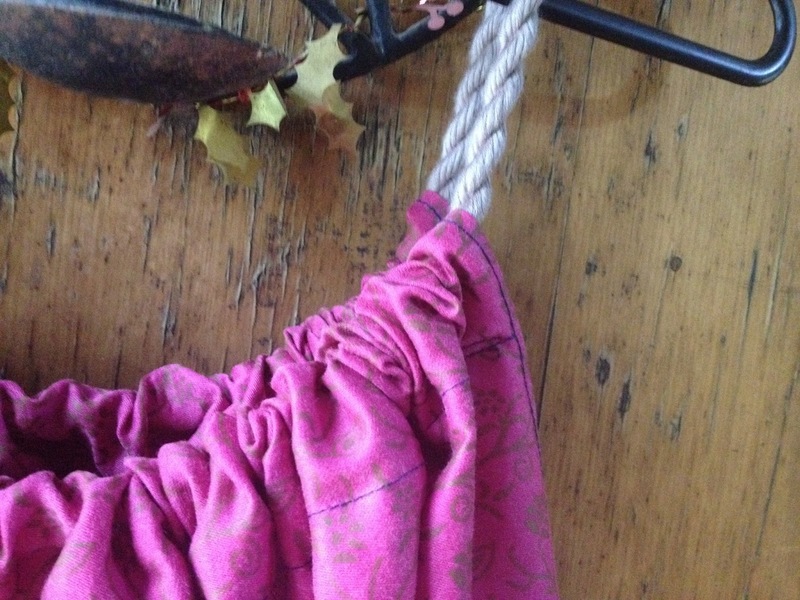 The first step was to find a simple pattern to try…along comes ‘Greenie dresses for less’ a great blog about up-cycling. I chose the convincingly labeled ‘easy summer dress‘ pattern and away I went. 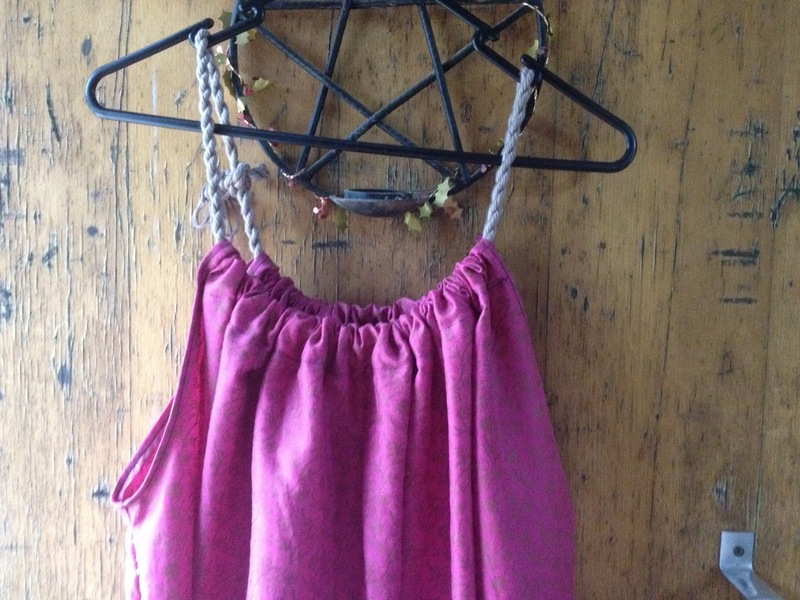 This is the finished dress on it’s hanger. 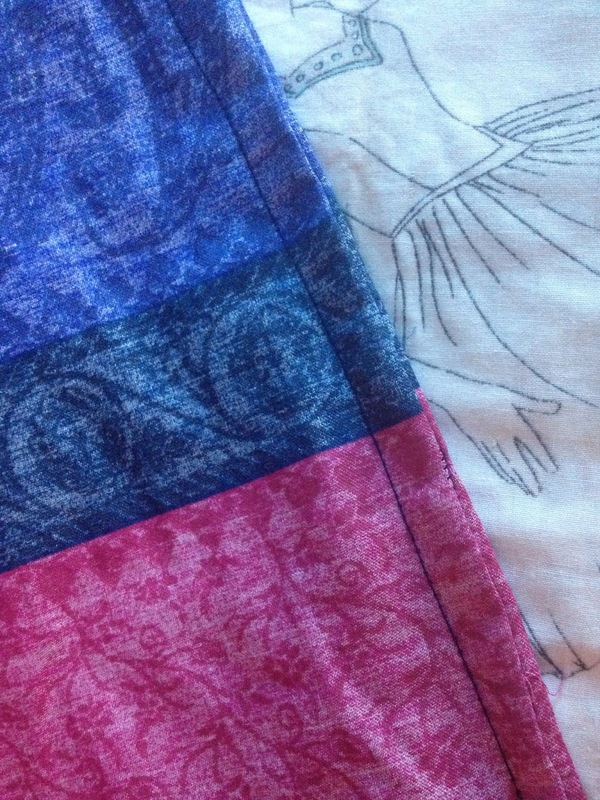 My first step was to unpick the side and bottom seams of the quilt cover. Yes it did take a long time; almost an entire Youtube documentary about mermaids. Then I cut out two rectangles of fabric 107 x 97 cm each, cleverly keeping the hemmed bottom of the cover so I don’t have to do it later. I sewed the side seams up using French seams (so I don’t have to zig zag the edges). 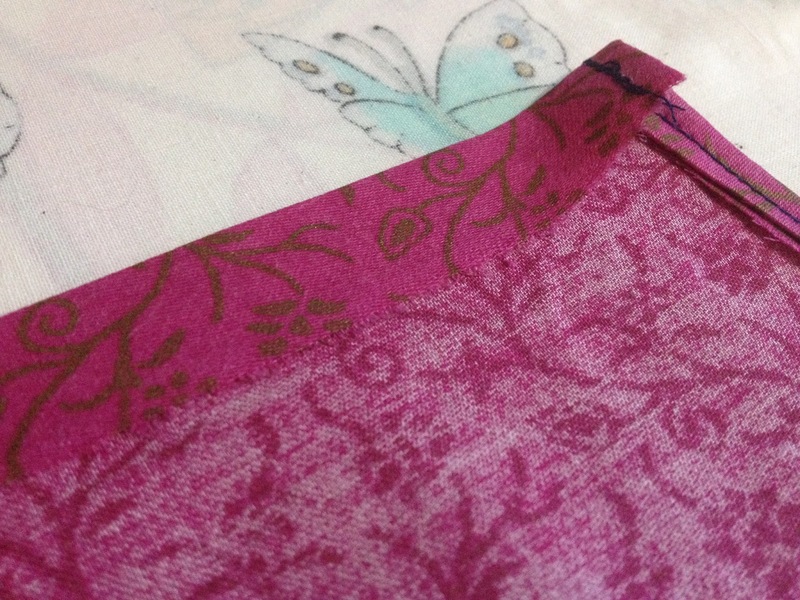 This is the finished French seam, aren’t they so neat and tidy. This is my ironing set up. 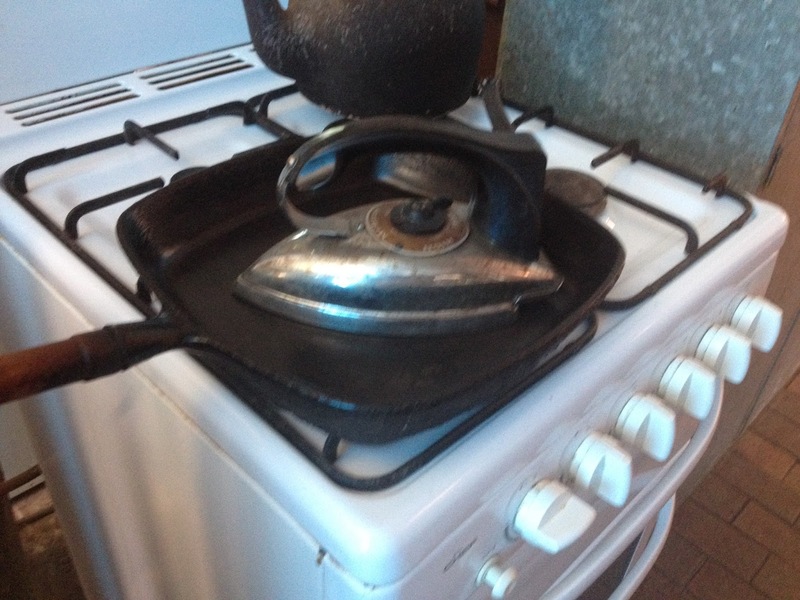 The old iron is solid aluminium and very heavy. I use the frying pan to keep the bottom clean while I heat it up to iron. Ironing the seams and such. I love the smell of fresh ironing. The almost last step was to sew up a pocket for the shoulder straps to go through. 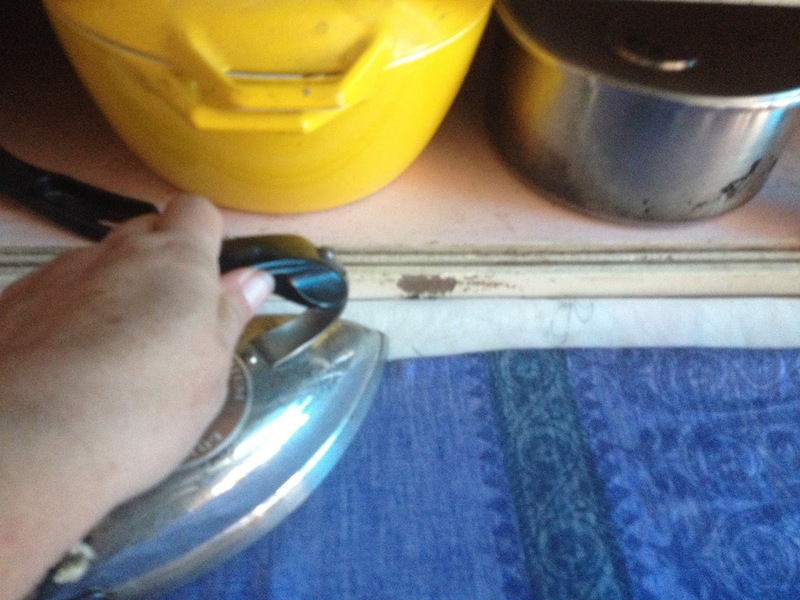 The iron made this so easy to do. Then I made the shoulder straps. I decided to make some cord (or rope) to use as shoulder straps. This is so easy and quick to make. The ‘recipe’ is…take some lengths of yarn, cord or string, make sure you have about double the length you will need (more if you have a lot of pieces). Attach one end to a hook or something (another person is good if you have one handy), then standing at the opposite end twist the cord away from you until it is full of twist energy. It should try to twist back on itself if you slacken the tension. When it has enough twist in it you can fold the piece in half, keeping tension on the length as you do this. 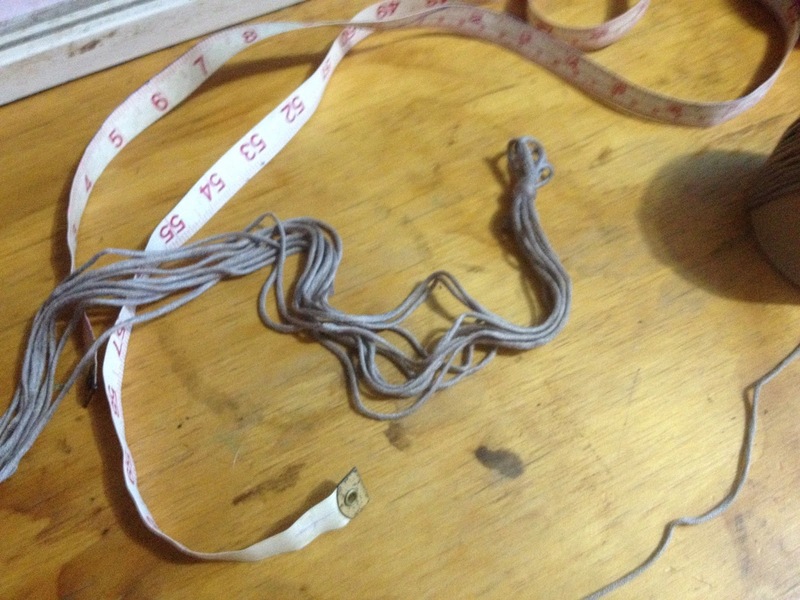 Make the cord by releasing small lengths of cord from the folded end a bit at a time. Finally tie a knot in the end and there is your cord. I know it sounds complicated, but it isn’t. Give it a try and see. I measured out three metre lengths of bamboo yarn until I had nine lengths in total. These house dresses are not fancy, (or even flattering on me), but they are cool and comfortable and allow me a full range of motion. I think I will sew up a few more. Next time I think I will make the back much shorter than the front so it gives me a smoother line at the back. I also might make the shoulder straps longer so I can adjust the fit more. 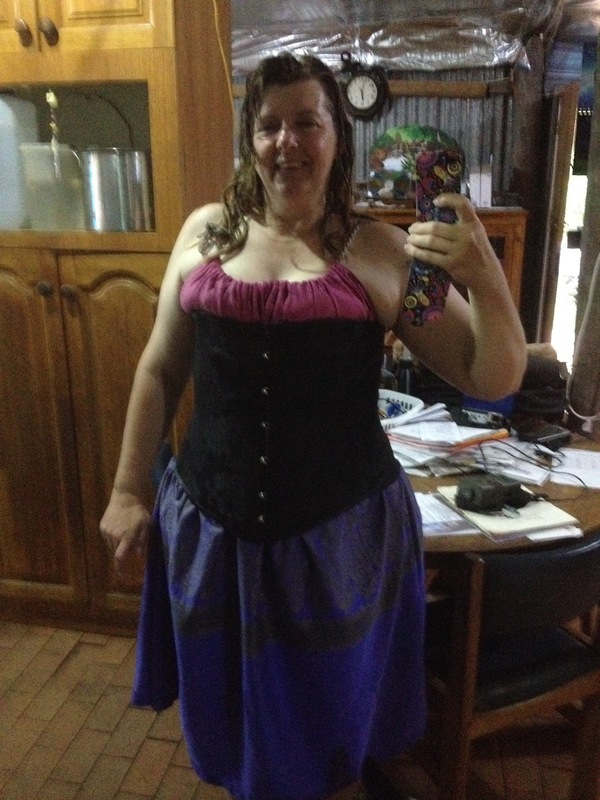 Oh, and I dug out my old corset to see what it would look like with the new dress. All I can say is I know why tavern wenches were so easy to talk out of their clothes…those things are hard work. It didn’t last long on.